Let's Denim! The Ashley Graham for Marina Rinaldi capsule collection debuts in Milan. A little theatre of wonders in the heart of Milan. A stage that has long been silent will come back to life to host Marina Rinaldi's SS 2018 presentation during the September fashion week. The event is scheduled for 22 September starting at 6.00 pm at Teatro Gerolamo in Piazza Beccaria. 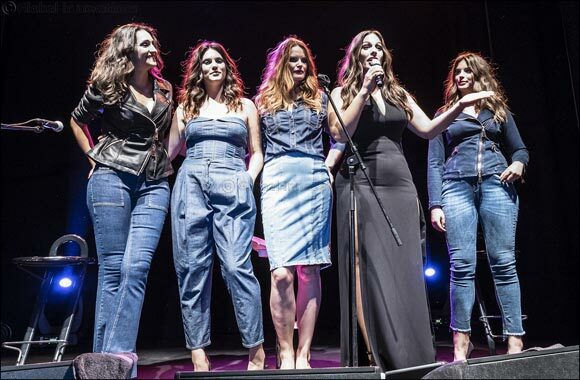 On stage the Ashley Graham Denim Collection - a capsule designed for Marina Rinaldi by the American influencer- a selection of Marina Rinaldi Luxury Activewear and the exceptional talent of Skin. The English rock star will perform acoustically during three different moments of the evening, alternating with the models that will use the same staging as Skin to play with a photographer and take pictures of the looks of the new collection, recreating a theatre within the theatre. The images of dynamic mood boards will flow across a mega screen behind them, emphasised by a rich play of lights. The choice of Skin to provide the soundtrack for the Marina Rinaldi style goes beyond her powerful skills as a performer. The singer, who has always been a supporter of the feminist movement, during an interview with Vanity Fair Italia had singled out Marina Rinaldi's SS 16 campaign with Patricia Arquette as being an example of positive and inclusive communication of femininity. 'If a brand like Marina Rinaldi can promote diversity in all its shades, it is making a valuable contribution', explained Skin. 'Women need to see that beauty comes in many shapes, beyond common standards. After all, this is also a way to spread sisterhood, creating positive relationships among women, without judging. In America they often say, 'I got you' (I understand you and your essence): it's a phrase I like and that explains everything'. Throughout the duration of the event, alternating with Skin's performances, the tableaux vivants of the models will present the looks of the Ashley Graham Denim Collection, produced in a high-quality denim with leather or scuba fabric inserts, and Marina Rinaldi outfits of refined active wear, where sporty accents are enriched with sophisticated materials and workmanship.